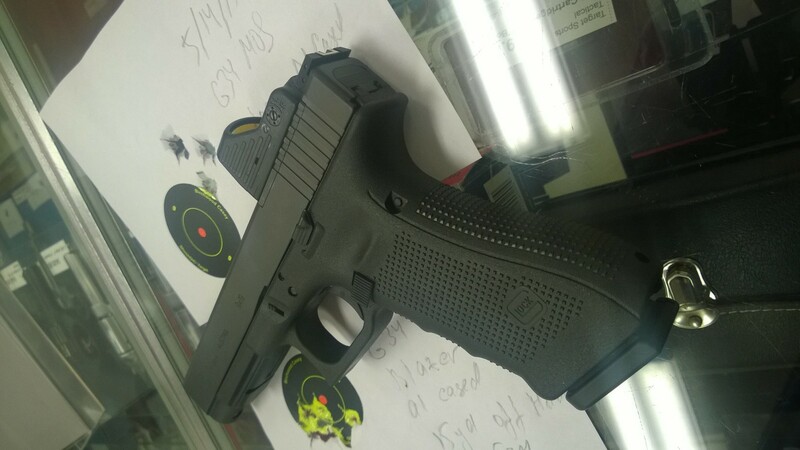 I am not a huge fan of Glocks for two reasons: first, their striker-fired trigger mechanism is long and heavy, and, second, I am not a huge fan of plastic guns in general. The reason we still see a lot of firearms from the late 1800s and early 1900s in perfect shootable condition is because they are mostly made of steel. Will plastic guns last for 100 years? I don't know, but I would be surprised. That said, I am a sucker for competition hardware, and a technocrat. 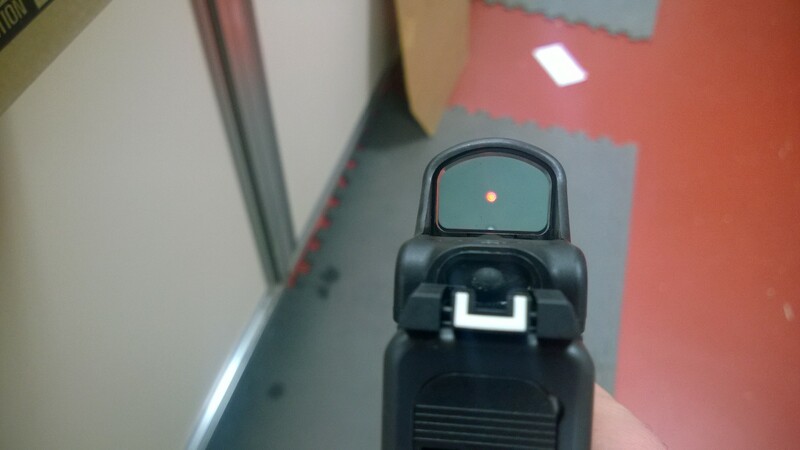 So I REALLY like red-dot sights (RDS) on handguns, and if a firearm has anything about "match" or "competition", or "target" in its name or description, I usually buy it. 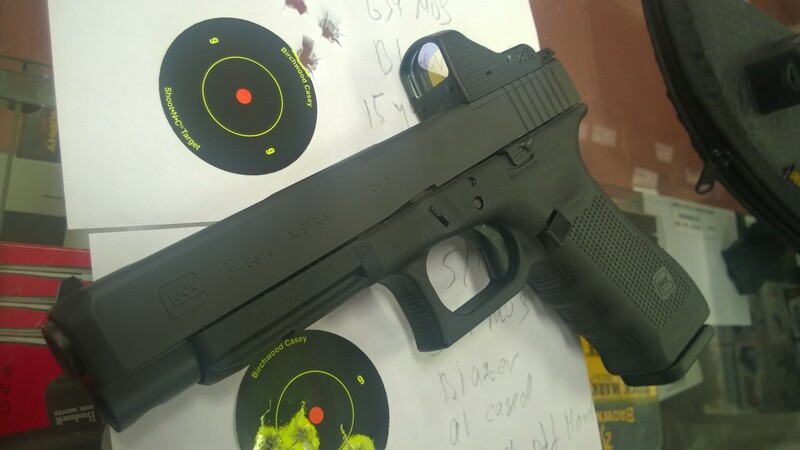 When Glock came out with the M. O. S. system, I, predictably - grudgingly - bought one. M. O. S. is a fancy name for an ability to mount RDS on top of the frame. 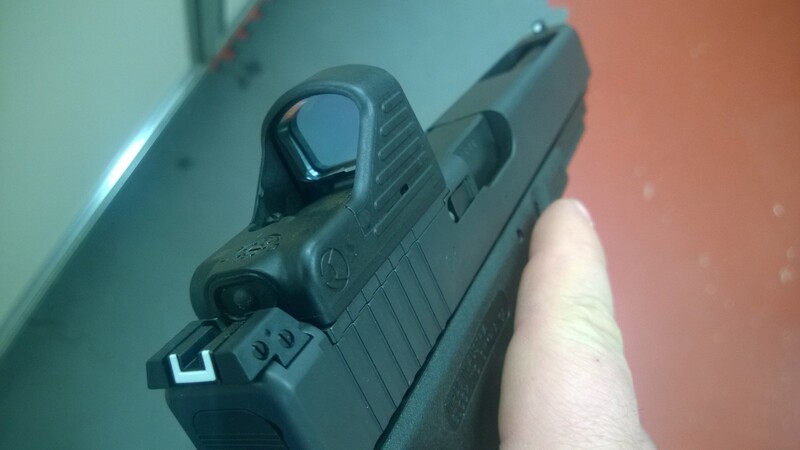 I think every gun should come with this, and I would kill for ability to mount a RDS on CZ pistols in particular, but unfortunately only some Glocks and S&W M&P pistols come with this option. 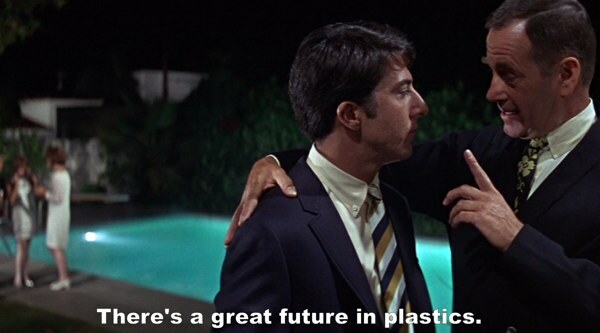 Yes, plastic and more plastic. Glocks? We've got Glocks! And more Glocks! 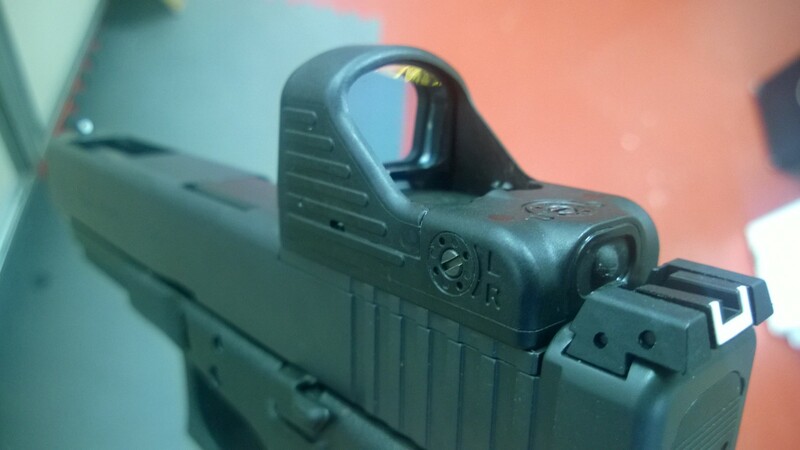 Glock specifically comes with a bunch of mounting adapter plates that cover more or less every RDS known to humanity, and all the screws. For the RDS I picked out Eotech MRDS - not because I have any preference, but just because a distributor had an insanely good closeout deal on it, so I got a few (including one for myself) REALLY CHEAP. MRDS comes with the kit (Picatinny-mounted), which I did not use because the mounting plates provide a significantly better option. 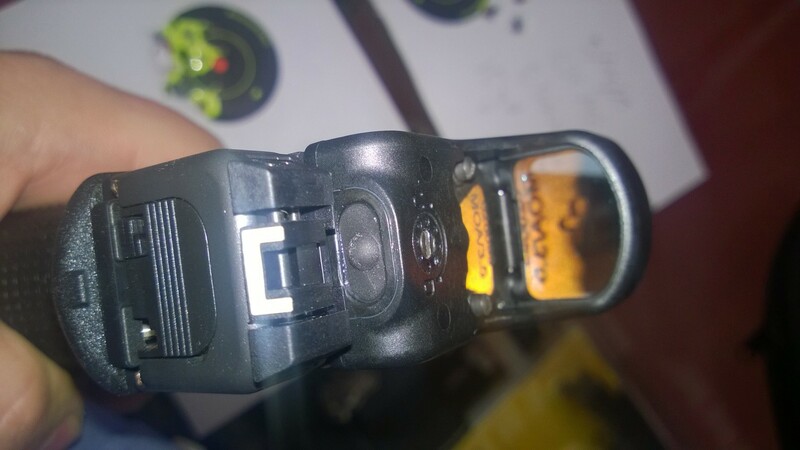 For the first trip to the range I mistakenly used the screws that came with the kit, rather than the pistol, to mount the plate - which was a mistake, they were too long, and the plate shook off almost immediately. I fixed this for the second trip to the range. 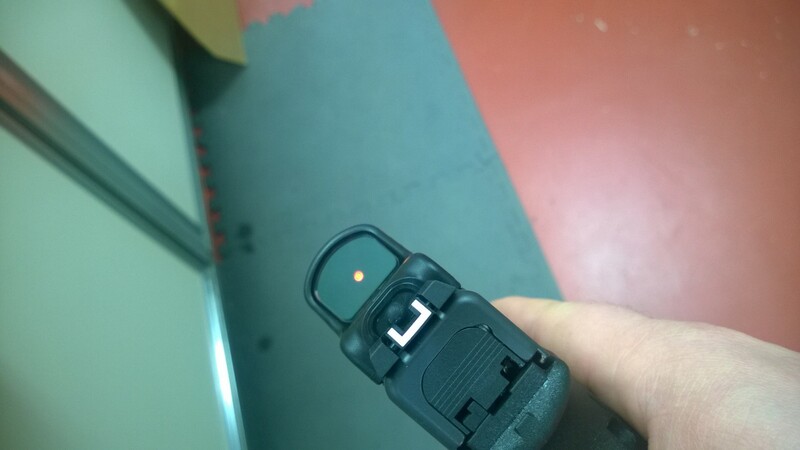 This is how the pistol looks with the sight mounted. I used CCI Blazer ammunition with aluminum casing. Since reloading for Glocks is a questionable proposition, I figured I'd go for the cheapest. 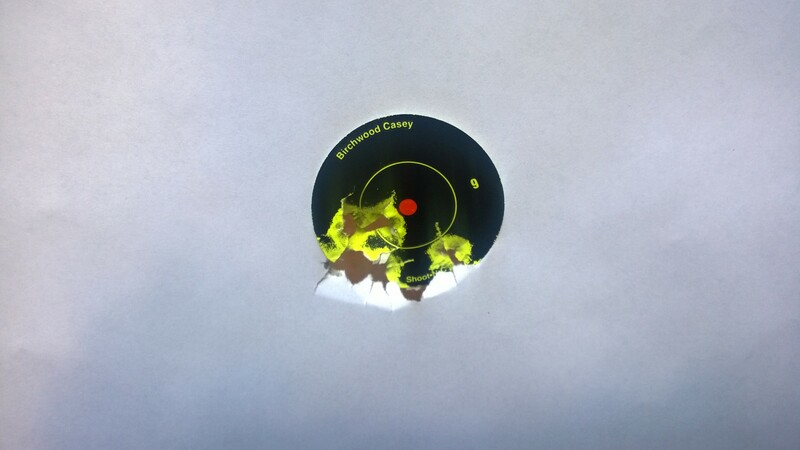 At 15 yards, off hand, I was reliably printing 1-1.5" 5-shot groups. 2" groups were appeared once in a while, but were rare. Surprisingly, I found that shooting supported and unsupported did not make much of a difference. This was relatively unusual in my experience - the only other gun that exhibited the same behavior was a Hi-Point (but the groups were much wider). Overall, found the setup to be quite good, despite its clear Glockiness. The trigger is still waaaay too heavy for a competition gun - so I ordered a bunch of parts to get that fixed. The grips are a little bit too small for my hand - so I need to use the Gen 4 adjustable bootstraps. The pistol needs a some work, but I - provisionally - like it!